🌟🌟🌟🌟🌟 looks great !, shipped fast! Prompt delivery and well packaged. Thank you! Wide, sharply focused FOV. Could use more lens coatings for a little better contrast and color. Though, for the price, not a better binoc out there. These are excellent binoculars. 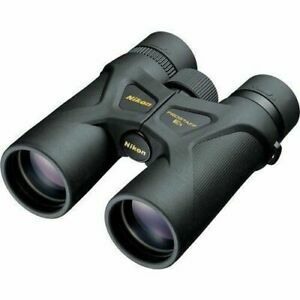 I normally will not write a review, but these binoculars are worth the effort. I own a Nikon camera and loved it so much I thought I would give these a try. They seem to be well built and very lite to use. great for looking at the moon, bird watching or looking at the mountain peaks from my back yard, Almost like being on top of the peak without having to climb. I odered these because they were listed as compact I wouldn't call them compact. Having said that they are of excellent quality and I do like them they work great but there not something I can slip on my belt when I'm out hunting. they are a midsize bino abd because they are so good i kept them . Great for people who wear glasses! Purchased these binoculars to watch the birds on my back yard feeder. My husband and I both wear glasses and this made finding the right binoculars a problem. These binoculars are perfect!!!!! I highly recommend them for people who wear glasses. Good quality too!